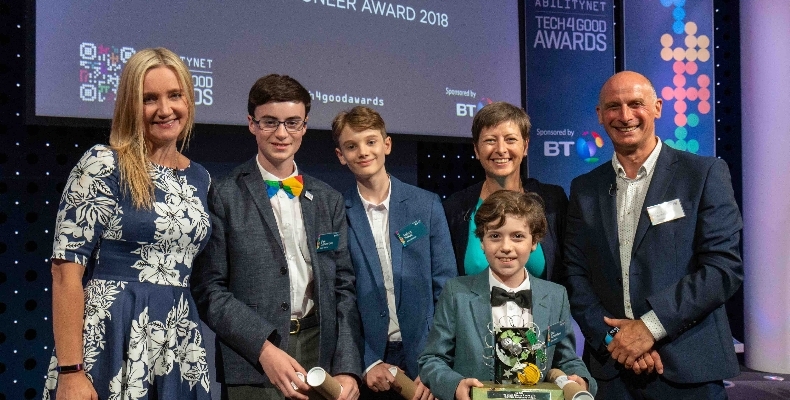 BT’s Young Pioneer Award is now open to nominations for projects that are harnessing innovative tech ideas and individuals who are transforming society. Open to all young people from the ages of 9–18, entrants can submit their pitches online, with a deadline of May 10. Award winners will receive £5,000 of technology to help scale their projects, as well as focused sessions with BT experts to help develop their ideas and inventions. A new world is being shaped and created by the rapid acceleration of technologies, and we need a culture in the UK that celebrates tech for good entrepreneurs who are at the forefront of making sure no-one is left behind. Last year’s Young Pioneer Award went to a group of four young home-schooled inventors for their Water Watcher device. The four boys, aged between nine and 15, created the small and inexpensive product to address water wastage caused by memory loss, dementia, dyslexia, or brain injury. The device’s great potential has since been recognised by organisations such as Thames Water, WaterWise, and the Alzheimer’s Society.